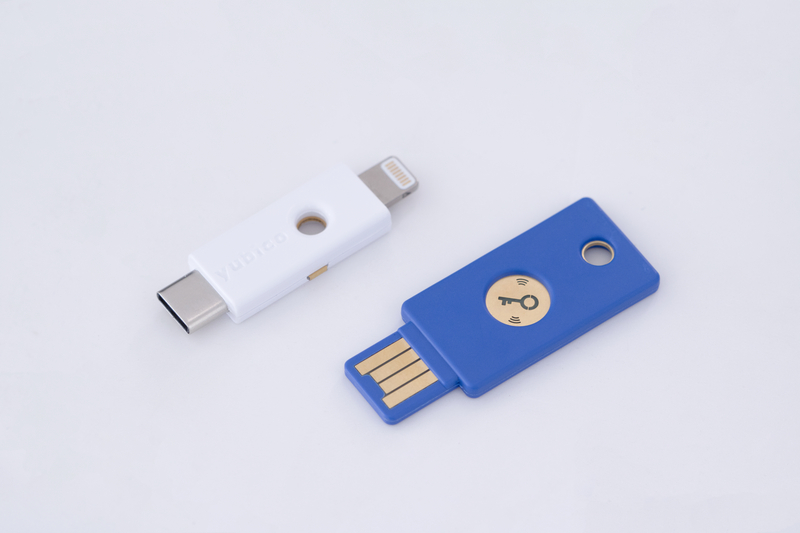 Yubico, the company behind the almost ubiquitous YubiKey two-factor authentication dongles, today announced that its YubiKey for Lightning is now in private preview. Once it is widely available, this will mark the first time the company offers a key that supports iPad and iPhone users. One nifty feature of the new key is that it has both USB-C and Lightning connectors — one on each side. Thanks to that, you’ll be able to use it on both modern Macs and iPhones. With this, Yubico is also announcing that it is extending its developer program to iOS developers who want to use the company’s software tools for two-factor authentication. In addition to the new Lightning key, the company also today announced the launch of its new Security Key NFC, which supports authentication for FIDO2/WabAuthn and U2F services on computers and mobile devices with NFC support. The new key is basically a simplified consumer version of the standard YubiKey 5 devices. It’s now available for $27, compared to $45 for the black YubiKey 5. It’s still a pretty solid device, though, that’s manufactured in Sweden and the U.S.